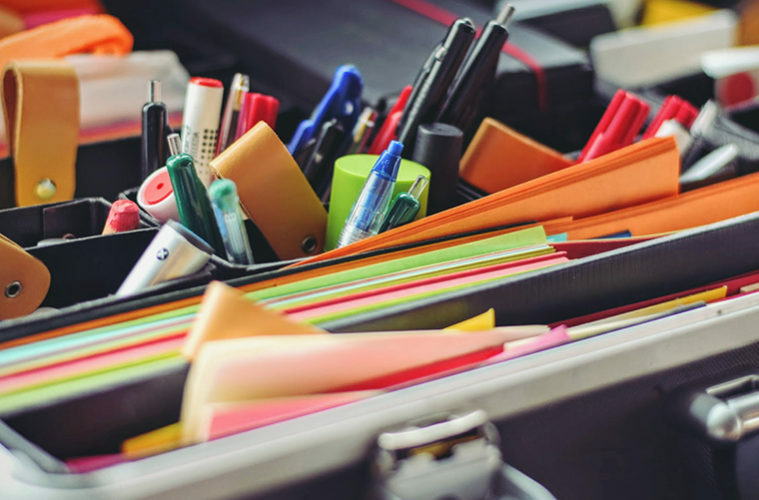 Whether it be your last year or first year of university that you are heading away to, you can’t deny that the best of the yearly preparation is always the day in which you can really go all out with a stationery haul! All of that new equipment packed neatly into your backpack ready to assist in the work of genius that will doubtless ensue over the next semester. Your basics incorporate the standard biros, pencils, ruler, erasers and so on. Feel free to be creative and experiment with different types over the summer to see which work best for you. It can be useful to have a ballpoint or two for lectures because the ink flows quickly enough to keep up. Tip – Always have a spare pen at hand just in case yours runs out! Who misses the days of exercise books? I know I definitely do! But despite this, it is much more efficient and easy to keep organised if you are using folders as you can hole punch any extra sheets you get in class to keep them with the other work from that day. Be sure to stock up on refill paper too. Whilst there are always cheap options nearby at you local supermarket, nothing can ever quite beat the paper which you like best. Colour coding works incredibly well when organising notes via ringbinder, largely because it means you can have both a normal set of notes from class followed by an updated colour-coded copy once you have re-written everything. You are also much likelier to remember things which are written in colour than you are if they are in plain black ink. Plus, there is nothing quite as fun as getting to use your favourite colours to brighten up some work which is particularly dense with jargon + academic vocab. It always adds a little extra something to note taking and makes it less mundane in the long run, particularly when it comes to revision days and deadline season. Having a working laptop is of the utmost importance to the modern student as pretty much every assignment and reading list you will have access to or need to submit is going to be based online. Whilst this can be irritating to get used to at first, having a model of laptop which you are comfortable using really helps opposed to spending all of your time on the university computers at the library. It also means being able to work on the go. Whilst I wouldn’t advise typing your notes in lectures, I do recommend having a sturdy laptop case and memory stick so that your work is easily portable and always accessible. Is Ethical Hacking the Next Top Job? Fighting the writing block: how to break free from one? © 2019 The Student Pocket Guide Ltd. All rights reserved.